Is Connecticut’s Newly Enacted Casino Law Discriminatory? 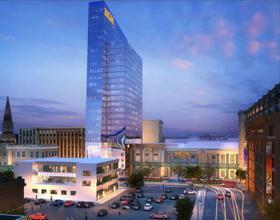 MGM Resorts is still more than two years away from the planned launch of its $800 million resort casino in Springfield, Massachusetts, but that hasn’t stopped the casino giant from firing the first shot in New England’s newest border war. 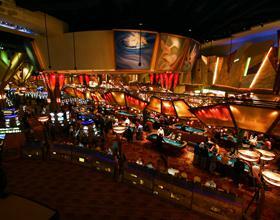 The issue arises from a recently penned Connecticut law that gives two of the state’s Native American tribes exclusive rights to build and operate a new casino near the Massachusetts border. According to the MGM lawsuit, which was filed on Tuesday in the U.S. District Court in Hartford, Connecticut, the new law violates the U.S. Constitution’s equal protection clause, as well as the spirit of federal gaming regulations. While the Mohegan and Pequot tribes were already permitted to operate gambling casinos on their respective reservations in southeastern Connecticut, the state’s politicians recently made waves by authorizing a new casino for the sole purpose of protecting Connecticut jobs. In part, these efforts are a direct affront to the ongoing construction of the MGM Springfield, as a new establishment would compete in the same market just across the state line. For this reason, MGM has a major stake in the outcome of its recently filed lawsuit as it prepares to enter a new and potentially lucrative gambling market. Among MGM’s chief complaints regarding the new tribe casino is the planned location, which falls outside of the tribes’ reservation land. As a result, the casino giant claims that awarding the project to the federally-recognized tribes violates the commerce clause of the Constitution by prohibiting other commercial developers from competing for a piece of Connecticut’s burgeoning gambling market. Although MGM claims that it would be interested in entering Connecticut’s gambling market, it is currently unable to receive a license because of a law favoring preferred tribes. The law in question, which was signed by Governor Dannel P. Malloy earlier this year, authorizes the Mohegan and Pequot Tribes to negotiate directly with individual towns for developmental rights as a joint entity. Originally, the legislation was targeted at the impending competition in Springfield, Massachusetts, but it has since been utilized in negotiations with municipalities in other areas of the state. Moving forward, the results of this lawsuit will play a major role in the continued development of Connecticut’s growing gambling industry. Whether to challenge the presence of competition for its upcoming Springfield resort or to improve its prospects of a future casino in the Constitution State, it’s clear that MGM is intent on following through with its challenge to the perceived injustice represented by the tribal casino act. Regardless of the litigation, the expansion of the Connecticut gaming industry is off to a strong start. The state is currently targeting a 2017 opening for its newest casino, which would give it a strategic advantage over the MGM resort, which recently filed for an extension pushing the opening to 2018.